b. Data Analytics in the Legal Industry c. Key Factors to Consider. LPO has been defined in various ways as it has not yet been described in one particular definition. It has been described as a process whereby certain routine work or continued legal services are outsourced to more affordable destinations, whether it may be overseas or within South African borders, where service providers do not charge the excessive amount that the Attorney would have charged. In other words the practice of an organisation or a law firm obtains certain legal support services from independent firms and/or service providers. The legal sector faces tremendous pressures regarding global financial crisis which have emerged in the past few years, where practitioners have been forced to assist and accommodate corporate clients in financial distress situations. This forces law firms as well as the individual attorney to find alternative ways to operate efficiently on a reducing cost basis. Therefore the LPO is becoming a fast establishing and rapid growing sub sector as firms and the individual attorney have been forced to look for alternative as well as innovative legal service delivery to its clients.  Tasks that can be outsourced must be easily replicable and relatively simple tasks, therefore it is important to understand exactly what service it is that your client wants you to provide him with.  The main focus in outsourcing remains cost-efficiency but must always be weighed against risk. Refers to the different tasks as well as departments of which the LPO comprises of, including the different levels to which individual tasks and departments are allocated to, to ensure effective functionality of an LPO. 3 Levels exist ranging from low level tasks, mid-level tasks as well as high-level tasks. collections conducted by agents in debt collection companies, form-fill in large insurance companies – this will be the first step when lodging a claim and further the claims process by submitting the forms. These tasks are your repetitive tasks within a company. Mid-Level tasks are those which require a certain degree of skill, however, not specialist skills, for example reading through a basic rental agreement or drafting of a Section 129 Letter of Demand. Employees on this level usually have a specific qualification within the legal field, such as a Legal Secretary or Paralegals, and often Candidate Attorneys. This is a very important level, as more “Non-Lawyers” are entering into the legal Industry of work, who can to a certain degree do legal work with the result that to draft a basic contract is more cost effective. This includes Claims Management in the Insurance Company, E-Discovery (To be explained at……) and Contract Management in any company, but more specifically within the Legal Industry. High Level tasks will be pure legal – but very complex legal tasks requiring expert skills from Specialist Attorneys, such as Large transaction support, Contract Negotiation Specialist, Legal Compliance Management in various departments as well as Legal Project Management – which is becoming more popular among larger law firms as well as Outsourcing Companies by individual project management by exercising a degree of control on each individual contract/project/legal matter/cases, whereby alternative fee arrangements can be entered into depending on the matter, as costs will be measured against whether the firm is familiar with a particular matter/s, the degree of Specialist attention needed, risk etc, in order to allocate a particular project to the appropriate level or specialist, ensuring that it is of most time – and cost effective to the client as possible. Engagement with clients take form in various ways, direct engagement with clients can still continue as it would have in Law Firms, where the Outsourcing Company continues to exist with a Panel of Attorneys. Multiple Relationships exists where a firm or an organisation engages with a panel of Outsourcing Companies, depending on the degree and nature of the work required.  Job satisfaction as less time is spent on low level/administrative tasks by high level employees.  E-discovery: Involves the electronic review of documents relating to litigation/arbitration or any other investigative matter. This is incorporated in the Mid-Level Tasks where basic documentation needs to be reviewed or an excessive amount of letters needs to be drafted at once, a document will be scanned or details will be inserted by the employee, and by the press of a button be completed within a few seconds. This goes hand in hand with data management.  Data Management: Creation of data rooms, advancing the functionality of data sharing between law firms, data management and underlying legal processes as stated above. Creates opportunities for employees to become data management consultants, and attorneys Legal Data Analysts, to read data, correct errors as well as predicting certain future problems.  Legal Technology Expertise: Data Management Consultants and Legal Data Analysts – Job opportunities.  Contract Management: Refers to large scale amendments to contracts and migration of contract portfolio. This can be distinguished between Reviewing or the actual drafting of the Contract – High Level Task and Systems or digital programs to extract certain information regarding the correctness based on the validity – Mid-Level Task.  Skill on Demand: Train specific employees before allocated to a specific project, alternatively, should a firm of attorneys require a specific attorney, training is provided and the attorney works on a contract basis for an outside company. Data Analytics involve a process whereby “things” are described by applying analytical and logical reasoning in order to assign value to the “things”. Data is gathered from a variety of sources to be reviewed and analyzed to form a certain conclusion. This is followed by organising the values, processing it, in order for it to be presented in a given context – making it then useful. People make use of data mainly to solve problems which occur or which are likely to occur by first asking questions and then to look to the data for a specific answer. The legal industry has however not been as quick to embrace the technological changes which the world experiences on a day to day basis. Legal principles itself is unlikely to change, however there is a rapid change in legal practice to suit the digital environment. It is at this in point where Legal Data Analysts are becoming more popular in demand. A popular law firm in New York City Wachtell, Lipton, Rosen & Katz has taken analytics, incorporated it into the legal environment – thus taking analytics a level up – and implemented a system which is commonly known as “Machine Learning”. This method increases attorneys ability to identify documents based on the particular matter it is facing, as this technique automates the prioritisation of documents for review. Drew Winship, who is the founder and CEO Juristat – a data analytics tool – had said that the legal field will benefit significantly when implementing data analytic tools within the legal environment. Information obtainable through these tools will assist attorneys to conduct legal research for opinions, to prepare thoroughly for court cases, assisting in providing legal advice with the result that attorneys will save much time, and further save costs for the clients. Where these tools are of more advanced, a standard contract or letter can be drafted within a few seconds, or, where a company has to draft numerous letters per day, by importing certain details, 1000’s of letters/agreements will be drafted, again saving costs. The Legal Analyst will have the opportunity throughout the “development” of these tools to read the data, predict certain problems and eventually have a properly set up system allowing efficient work to be done, within acceptable time limits at affordable costs.  Plan what tool you will need in order to find/implement the appropriate tool. 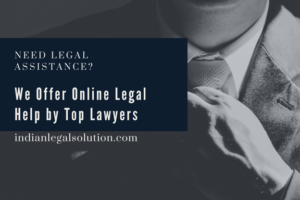 However, the implementing of these tools within a company or firm is the most difficult as well as expensive exercise, but, when implemented successfully, one can then say The Legal Process Outsource have been successfully implemented. LLB,University of Johannesburg, South Africa.